Online credit card processing never stops. But like most businesses in the U.S., we’ll be closed Thursday and Friday for the Thanksgiving holiday, returning on Monday, Nov. 30. November has been a stellar month for e-commerce businesses signing up for merchant accounts with Instabill. We are well on our way to one of our best months of the year – not bad for only 19 working days – the shortest working month of the year. We hope the strong November carries into a robust December, another short one (21 working days). 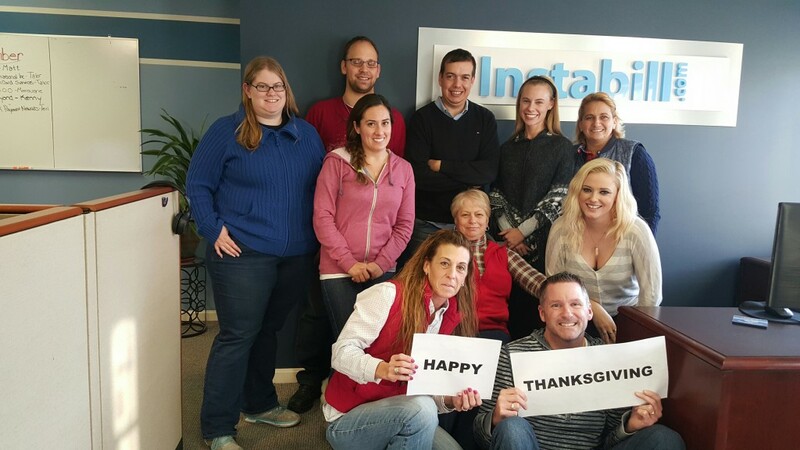 As we enter the season of thanks, here are the things Instabill is thankful for this month. This is why we receive paychecks. We read about it every week in the many periodicals and newsletters to which we subscribe: E-commerce continues to grow significantly in just about every country in the world, and we are here to help those businesses flourish. There’s nothing we enjoy more than a competitor coming to Instabill with a merchant they are unable to place. Our partner program has expanded beyond our expectations the last three years. We have payment processing solutions in more than 90 industries and more often than not, can find an acquiring bank to board a high risk merchant. Instabill provides online credit card processing for businesses of all risk levels. We are able to do this because of our domestic and offshore banking partnerships that allow us to grow our offerings. Because we are a global merchant services provider, there are less than 10 business days a year that Instabill merchant account managers are not working. We’ll treasure the long weekend while we can get it, and come back fresh and ready on Monday.